Looking after a baby can be stressful in many ways. There is that crying, sleepless nights and the money troubles. There are so many things we have to buy a Baby whilst expecting but you don't ever really think about how money will be after baby is born. I do think when you are a second or third (or more) time parent you do think more about these things and wish you had done things differently first time. 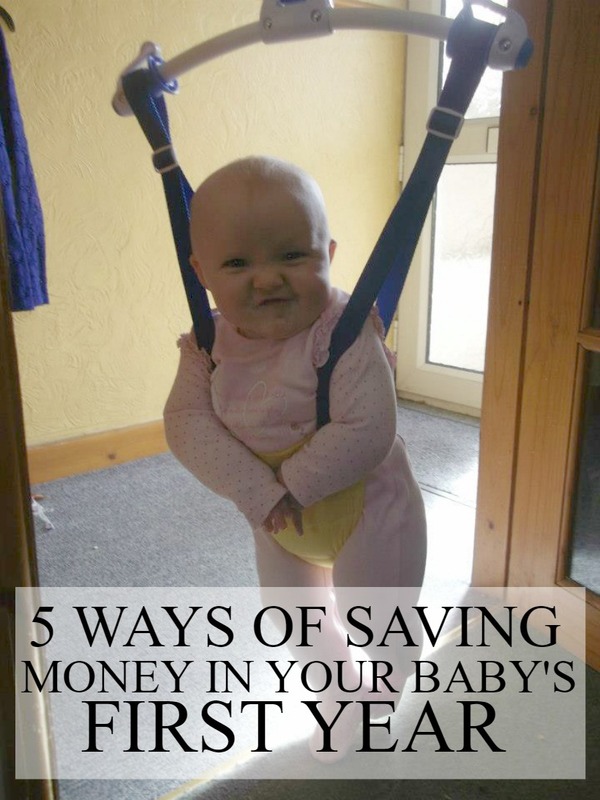 So, how can you actually save money when you have a baby? Saving some money each week through your pregnancy can actually be a big help at the end. There are 40 weeks in pregnancy but usually you don't find out until you are atleast 4-5 weeks gone. So lets say 35 weeks of saving. This is just an option of course. I didn't breastfeed with my two girls and I do think formula is so expensive these days. The average price for formula is £8.00 which I find ridiculous. If you buy formula every week for the first 12 months, you will be spending roughly £416.00 a year on formula milk. Breastfeeding is a cheap option, but of course everyone makes their own decision and no one should be forced or made to feel bad whatever their decision. I put my hands up! When I had my first I bought jars for a few months. I found them easier (at the time, so I thought!). With my second I decided to only buy jar food in emergencies like if I was out for the day somewhere, otherwise I made home made meals and freeze them in batches. This saves a lot of money! I am not quite sure how much food jars are right now but I am sure you could save at least £100 or more by cooking your own meals. 4. Accept Second Hand Goods! Honestly, there is nothing wrong with accepting second hand toys, clothing and any other baby item! If you are asked if you want a bag of clothes or anything for baby that you could really do with, accept it! You will be very glad you did in the end. 5. Wait for offers & Stock up! There are many baby events at big stores throughout the year but there is also alot of offers throughout the year in between the baby events. When these offers come, make sure you grab a load of those wet wipes or packs of nappies! You will see yourself saving money in the end. How did you save money in the first year of being a parent?